Please read this if you want to exchange the goods within 14 days from the day you received them. Enclose the filled out Exchange Form – download here. As soon as the package arrives to the Czech Republic, you will receive an email confirming our acknowledgement of your exchange request. You will receive another email as soon as your replacement will be shipped. If you have any questions, please get in touch with our customer support – Contacts. 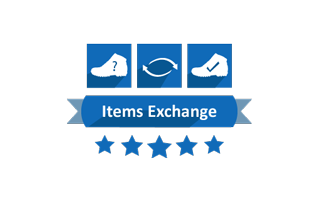 How To Exchange Goods? Send Them Back To Us First! Please make sure to pack the goods accordingly so that they aren’t damaged en route to us. We also recommend that you obtain a proof of postage receipt. The returned goods do not need to be in their original packaging, however, if the packaging has been opened or damaged, we reserve the right to charge a re-stocking fee to return the goods to original condition. For the first exchange we do not charge for any shipping fee or other fees, apart from the re-stocking fee as described above. The only way to exchange the goods is by sending them back to us. The shipping costs for sending the goods back to our contact address are covered by the customer. Enclose the invoice (make sure to save a copy for yourself) and a filled out Exchange Form.